That’s why in Bloom’s Taxonomy, “creating” is at the top! Creating something new and useful is the work of progress. 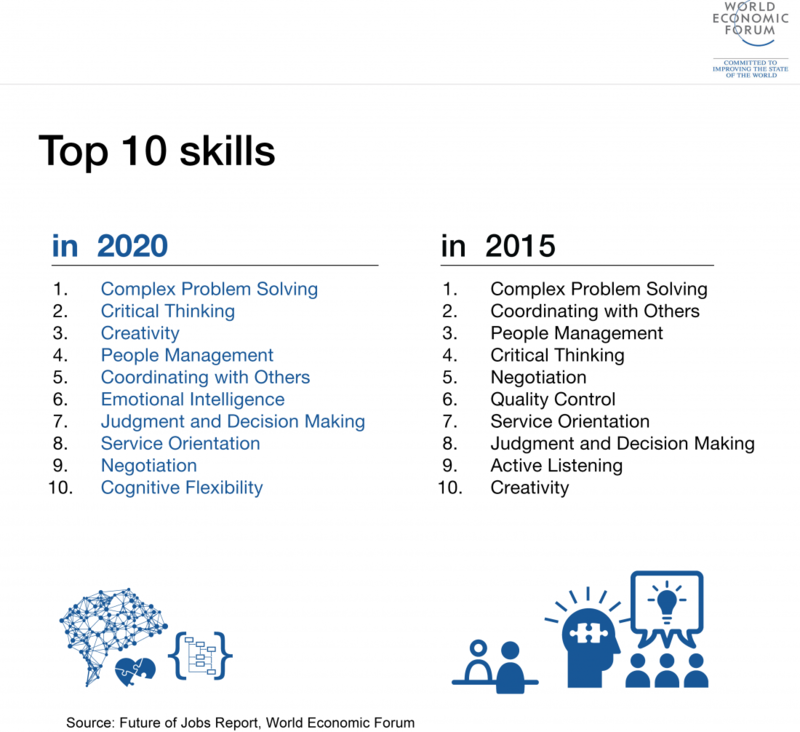 Both the Partnership for 21st Century Skills and the World Economic Forum’s Future of Jobs report list creativity as a vital skill that’s only growing in importance. Both also include complex problem-solving in their lists, which requires creative thinking because known solutions don’t exist for complex problems. You know we love drawing and painting, but we also know that creativity is much more than that. Creativity is where new inventions, medical breakthroughs, musical masterpieces, scientific discoveries, great novels, philosophical theories, and so much more are born. For kids, the creativity that leads to those amazing things starts as practice in solving everyday problems with a creative mindset, in trying again and a little differently when something doesn’t work, in thinking up lots of ideas before choosing the one to go with, in dreaming up outlandish possibilities, in taking time to wonder about the things around them, in coming up with unusual ways to put things together, in being brave enough to test out their thinking. We are here to help teachers understand and value these creative skills so they can provide students the opportunity to practice them and become confident creators. Many of these students will go on to change history, but equally important are those who learn to create meaning in their lives and the lives of those around them through their creativity. Here are three ways to make your classroom more creative today. Respond in an open way. When a student provides a wrong answer, instead of saying, “No” or “Not quite” or even “Try again,” try staying open and saying something like, “Interesting, can you explain your thinking?” or “Walk us through how you got there.” Mistakes can be the most valuable learning tools, but not if the response to them shuts down further thinking. Also try these same phrases for correct answers! Just saying “Yes!” to a correct answer puts an end to the thought process as well. Surprise your students. The science of surprise is fascinating and tells us that surprising moments pique curiosity and create the desire to share with others. Not to mention that playfulness is a creative skill. Students will remember and talk about novel moments in class. So, wear a crown when teaching about monarchies, have the students work UNDER their desks for a while, play rainforest sounds over speakers when studying the rainforest, or have a puppet give a mini-lesson. The limit is only in your imagination. Provide opportunities for divergent (possibility) thinking. This means giving the students time to think of a lot of ideas around something they are working on. Perhaps have them write 5 different ways to open a story or other piece of writing before they choose which one to use, or see if they can come up with 5 different ways to solve the same math question, or give them the answer to a question (igneous rock!) and have THEM come up with possible questions for which that is the answer.